Farmer to Farmer (FTF) is a primarily volunteer-run nonprofit that supports international peace, mutually beneficial friendships, and cross-cultural understanding among rural farmers. A Wisconsin-based organization with deep grass-roots beginnings, FTF does much more than operate a successful fair-trade coffee business. Rooted in the creation of solidarity among small groups of like-minded farmers from central Wisconsin and Latin America, FTF utilizes a social entrepreneurship business model guided by democratically organized relationships. In doing so, they’re able to benefit, uplift, and empower small farmers while improving their communities and quality of life. FTF’s work is grounded in the belief that community-owned agriculture that is respectful of the Earth remains resilient, allowing land to stay in the hands of those who live and work on it while improving the health of people and planet. FTF initially arose during the U.S. farm crises of the 1980s when American farmers were confronted with economic uncertainties more severe than any they’d seen since the Great Depression. Multiple factors contributed to the crisis, including post-World War II advances in agricultural technology, the rise of industrial-scale agriculture, mounting farm debt, and increasingly expensive equipment and land, among others. Faced with these issues, a small group of Wisconsin farmers began to organize for systemic change. Serendipitously, a group of Nicaraguan farmers traveled to Wisconsin during this time to share their experiences around forming agricultural cooperatives back home. Over time, the two groups envisioned a new way of doing business that benefited each while raising awareness of the connections between U.S. foreign policy and its adverse economic and social impacts in Latin America. The name Farmer to Farmer is an homage to the robust relationships established between Wisconsin and Latin American farmers involved in the organization. Beginning in the 1970s, policies that incentivized the clear-cutting of forests for highly fertilized, high-yield coffee crops took hold across Latin America. These policies favored large increases in the amount of synthetic pesticides and herbicides being used, which led to soil degradation, beneficial insect reductions, water and air pollution, and a greater push toward mechanization, among other things. Simultaneously, slash-and-burn agriculture became popular in tropical climates, reducing biodiversity and forests’ ability to naturally regenerate. Because of these harmful policies and practices, FTF saw a huge need to reintroduce regenerative agriculture practices to Latin American farmlands. FTF coffee is shade grown among fruit and nut trees. This helps retain water on-site while creating a cooling microclimate, resulting in lower inputs needed, soil and water conservation, and greater environmental protection of the cloud forests where it is grown. Today, FTF mainly collaborates with Guatemalan and Honduran farmers and their families to bring ethically traded, environmentally responsible, locally roasted coffee to the Upper Midwest. FTF has established an organic Honduran coffee cooperative to combat the commodity market’s focus on quantity over quality. This provides FTF coffee farmers with a financial contract up-front, meaning they’re never tied to ever-fluctuating commodity pricing for their beans. This also lessens the risks associated with farmers having to obtain high-interest agricultural loans to operate. Historically, FTF has paid 20–25 percent more to farmers than their competitors for green, shade-grown coffee. Fair-trade pricing allows farmers to make a respectable living while enabling community reinvestment through projects like the development of coffee-drying sheds and water-powered turbines that assist farmers in processing their coffee beans. 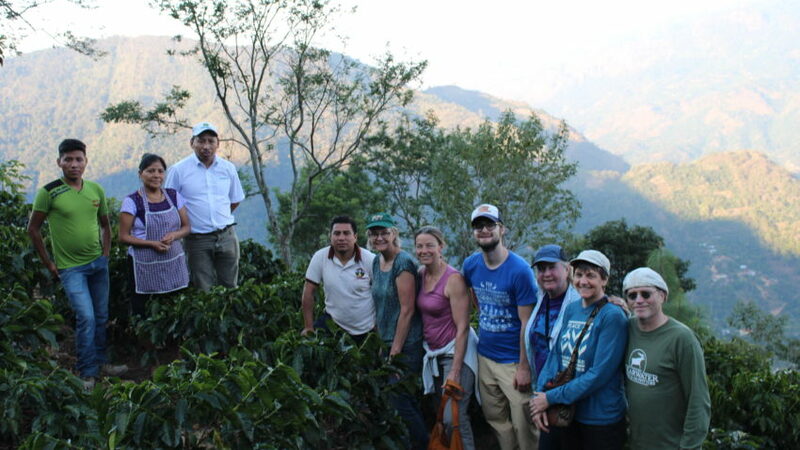 These community projects and the high quality of coffee being grown are strong sources of pride among FTF’s members. Know that when you purchase FTF coffee, you’re supporting a different way of doing business—one that prioritizes communities over commodities.